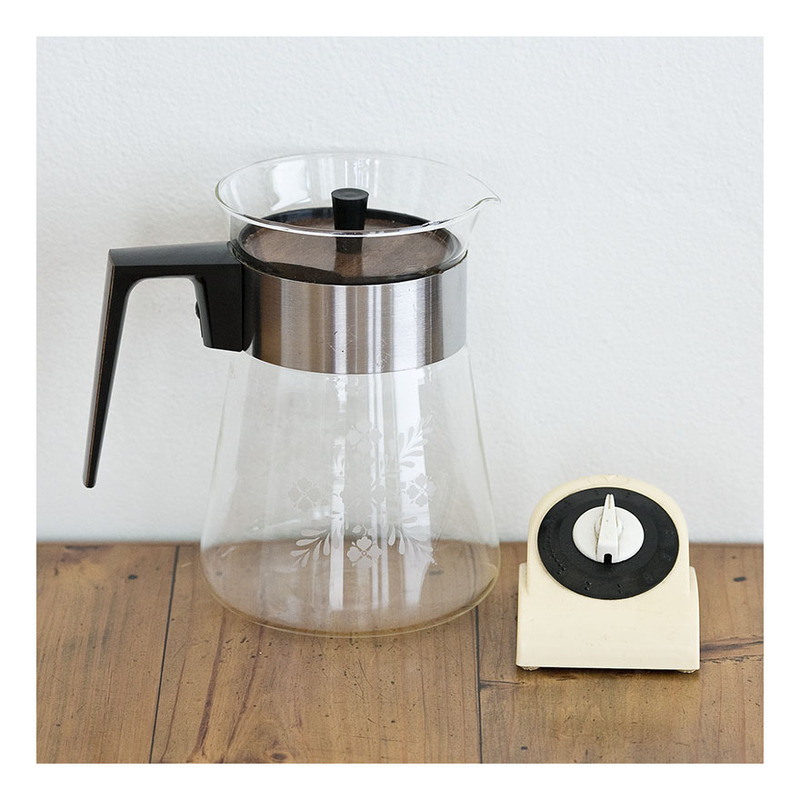 Pyrex made coffee percolators- and as see here- coffee serving flasks in Britain, America and Australia in the 60s. Every household had a percolator- which were quite functional in form and styling- and it was only the fancy-pants households that had the more decorative serving flask. This serving flask is such a product of the 60s- the handle and knob and bakelite, the large chrome band is off-set by the fake timber laminate on the lid. The glass is decorated with a subtle white abstract design: this is a flask that is straddling early and later mid-century modern design ideals. The kitchen timer [a Smiths Ringer, British made 1960s] is also made of bakelite. This ringer is all precise functionality- two toned- and the bell still works a treat [have not tested it for timing accuracy- may be slightly less than accurate since it’s over fifty years old.] I have featured Smiths Ringers on the blog before- I am somewhat partial to them.